Partner with Red Paladin to upgrade your wireless network. A modern alternative to traditional wired networking, wireless communication technology has become a widely used model for deploying internet connectivity in homes, offices, and enterprises. Wireless technology offers huge benefits in terms of mobility and a large number of innovative technologies. However, businesses may have a difficult time trying to decide what type of wireless connection is ideal for their use case. We’ll take a look at the common types of wireless networks in use today. Home and small office networks may require only a single wireless router, which is a combination of an AP and router into a single device. This device may also come with a 3G/4G, Cable or DSL port for internet connectivity. Larger offices will require several AP devices installed throughout the building (which connect to the router through Ethernet cables) to ensure robust wireless coverage. However, organizations that require wireless connectivity between distant areas or buildings will need to use powerful dish antennas to create long-distance, point-to-point connections. The dishes send narrow, powerful beams in a specific direction and determine the range at which the devices are able to connect. 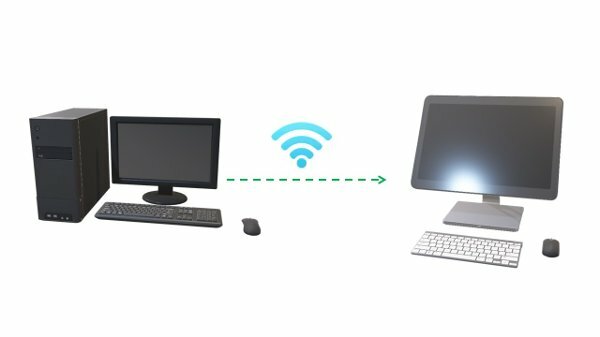 Point-to-point connections require two wireless devices: one configured as a client while the other is configured as an access point. The further apart the two devices are, the stronger and more focused the signal (and the dish) need to be to connect them. This type of wireless connection is based on the point-to-multipoint principle. However, it extends the concept to create a network where each node is connected to every other node within range, thus creating a meshed network. However, all devices must be in Ad-Hoc mode rather than Client or AP mode. 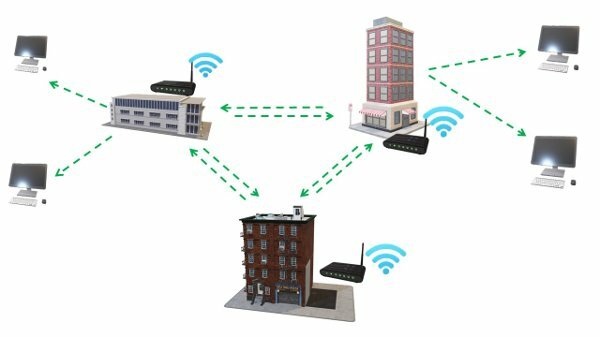 When connected, each wireless mesh node installed on the rooftops of various buildings will be able to share all resources that are connected to them such as internet connectivity and local servers hosting applications. Sometimes referred to as the wireless ISP model, a point-to-multipoint connection is created by using numerous client devices connected to an access point and very powerful antennas for stronger signals over a wider area. 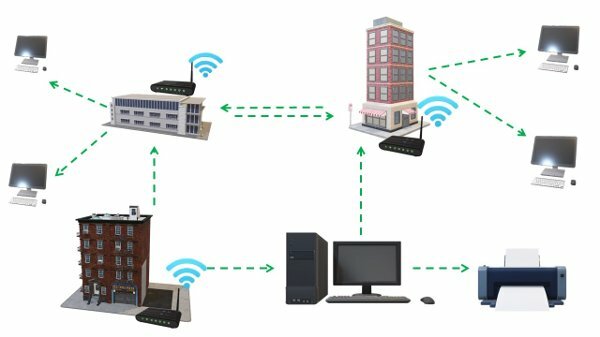 Basically, a point-to-multipoint connection is a large-scale access point network where all the clients are controlled by and connected to the internet by a single device at the center. 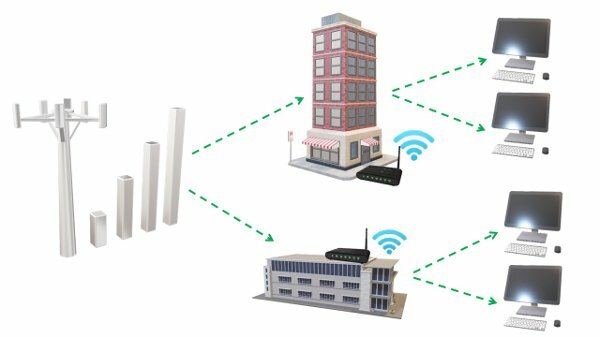 Most wireless ISPs use this model to connect businesses and homes to the internet. A hybrid network combines the principles of the preceding types of networked connection to create a robust wireless network for large-sized companies. It’s nearly impossible to design or build a community-sized network using a single type of networked connection. Since a point-to-multipoint network isn’t strong enough to cover a large area, a hybrid approach combines it with mesh (multipoint-to-multipoint) networks to extend coverage to nearby buildings, and point-to-point connections to join several disconnected networks and bridge longer distances. To determine the best type of wireless network for your organization, you should take the time to review your IT infrastructure, scenario and environment. Our team at Red Paladin has extensive expertise and experience in the configuration, installation and management of wireless networks- we can help your business navigate this process seamlessly. Contact us today for a free assessment to begin the process of determining your company’s wireless networking needs.